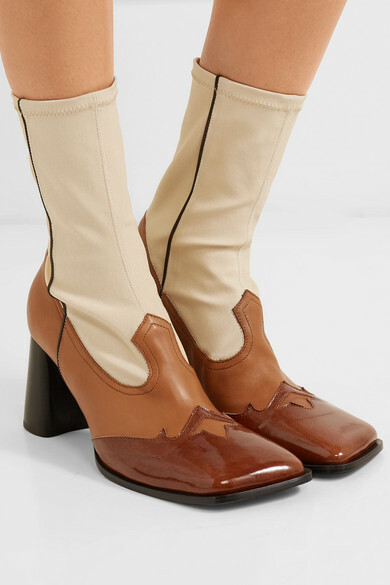 Kym Ellery says that her Resort '19 collection is an exploration of heritage and lineage, so it seems fitting that these cowboy boots are inspired by her great-grandmother who once pioneered the Outback. 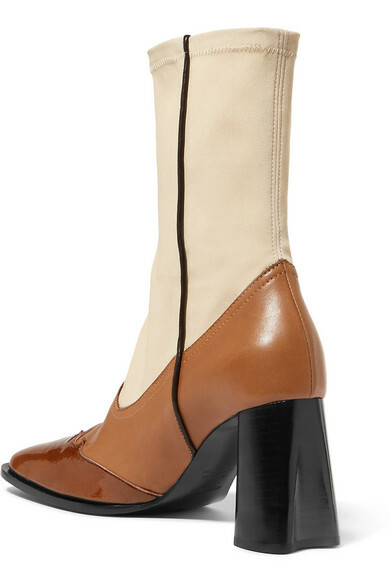 Made in Italy from panels of cream stretch-knit and tan and brown patent-leather, they have a sock-like shape and comfortable block heel. 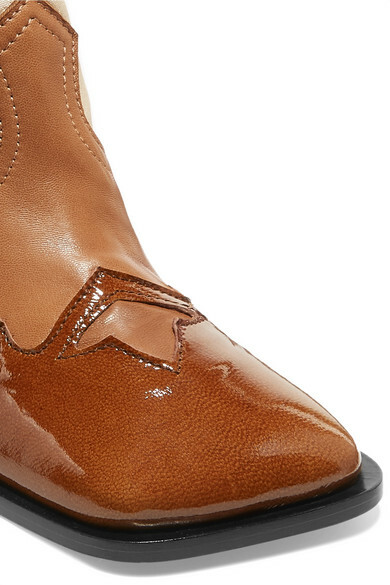 Wear them with everything from cropped jeans to mini dresses.